Pebeo POP ART Canvas Pads contain 20 sheets of 100% cotton canvas that is 250gsm in weight with a medium grain. The canvas is primed with a universal primer that is suitable for mixed media art. The A4 canvas pad contains 20 sheets that measure 297mm x 210mm in size. 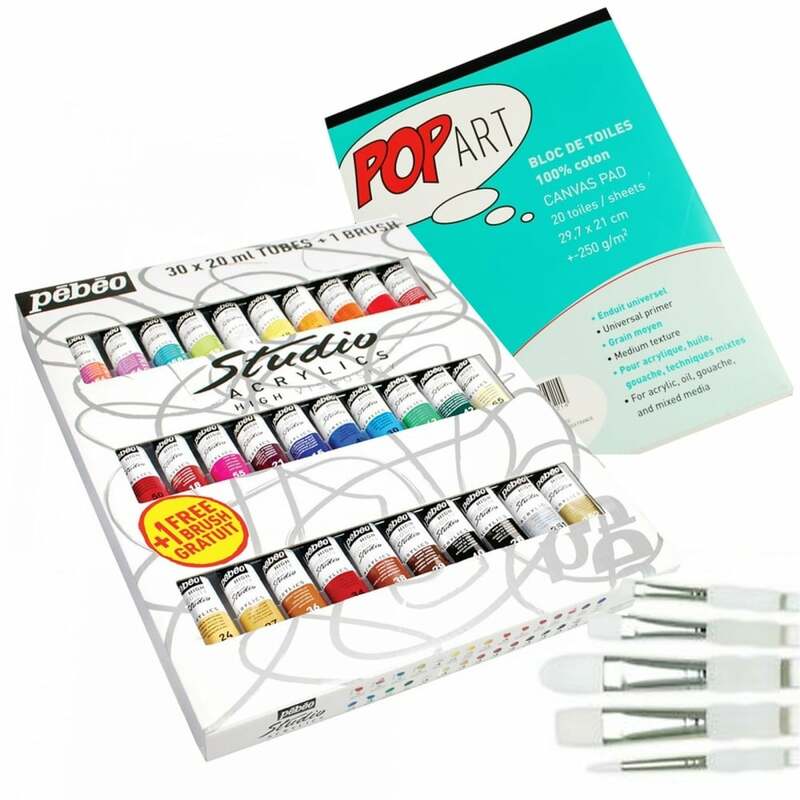 These Canvas Pads are ideal for experimenting with and practice pieces as they are more economic than stretched canvases and take up less storage space. The White Taklon Set comprises of 5 assorted sizes, all brushes in this set are of synthetic hair.The white synthetic hair in these brushes have a slightly thicker diameter which are perfect for high viscosity paints such as acrylic.The benefit of a acrylic handle over a paint coated wooden handle is that their is no possibility of paint chipping off the handle.The Royal & Langnickel Soft-Grip range of brushes is probably the best selling range of brushes in the UK, and are used by students and professional artists.